As a mentalist – or as I like to say, “thought reader” – I’ve always been intrigued by claims of the paranormal. Being skilled in the art of deception, I’m afforded a unique perspective on these claims. For me, one of the most fascinating so-called “paranormal” events took place in 1848 in a tiny burg called Hydeville in upstate New York. To those caught up in the melee that followed, these mysterious, sometimes downright terrifying events seemed as real as real. Yet, when viewed from a different perspective, new, not-so-mysterious explanations begin to emerge. For decades that part of New York had been know as the “burned over district” because of the many cultic movements that had scorched the area over the previous several years. In a tiny two room clapboard house two girls, Margaret and Katie Fox, ages 13 and 11, began hearing mysterious knocks on the floor of their upstairs bedroom. They summoned their mother to their room and together listened as the knocks continued. Mrs. Fox, emotionally rattled by the experience, shared her concern with a few of her neighbors. Within days hundreds of the curious converged on the little cottage to hear for themselves the bizarre rappings. It was discovered that by asking questions of the presumed disembodied spirit, who now had been nicknamed “Mr. Splitfoot” by one of the girls, answers would come in the form of a code consisting of raps. A neighbor suggested a tedious but effective system by which the raps could be used to hold conversations with the entity. Soon countless New Yorkers converged on the Fox homestead. Mr. Splitfoot was conversing with a steady stream of curiosity seekers and those wishing to contact their dearly departed, but always in the presence of the two girls. 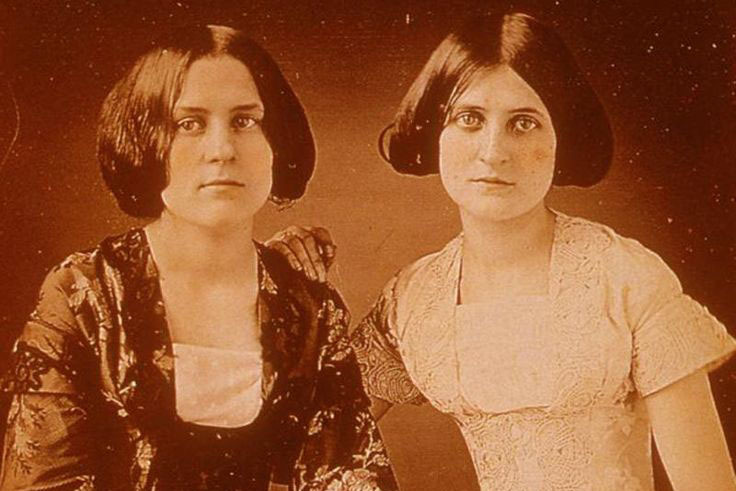 Within months the Fox sisters were a nationwide sensation. Their older sister, Leah, being a shrewd entrepreneur, capitalized on her sisters’ notoriety and began a very lucrative business billing the two girls as talented spirit mediums. Only a year after the rappings began, the great impresario, P.T. Barnum, hired them to perform at his American Museum. Their popularity took them to New York City and most of the major cities, then to command performances for Mrs. Franklin Pierce at the White House, Queen Victoria, the Tsar of Russia and many other dignitaries. Their success spawned imitators by the thousands almost overnight. By 1852, just four years after the Hydeville incident, New York City alone had over 1000 spirit mediums. The next year, Cincinnati could boast of over 700. Within a few years Spiritualism, the name attached to the movement, was the fastest growing religion in America. Congress was presented in 1854 with a petition signed by 15,000 constituents demanding an investigation into the mysterious happenings. By 1868 it is estimated that there were eleven million Spiritualist believers in America alone. All classes of society felt the pull of its magnetic charms. Even high profile celebrities like Cornelius Vanderbuilt, Elizabeth Browning, Fredrick Douglas, Horace Greely, Washington Irving, James Fenimore Cooper, Henry Longfellow and Harriet Beacher Stowe were attending the latest in-home sensation – the spirit séance, where supposed spirits of the departed were summoned by mediums. At least one dignitary, Benjamin Franklin, who had been dead for several years, was claimed by the Fox sisters to have visited their seance in spirit form. Mary Todd Lincoln, President Lincoln’s wife, hosted as many as eight séances in the White House in hopes of contacting her two sons, Willie and Eddie, who had died in childhood. She reported being visited by both during these sessions. President Lincoln’s involvement with Spiritualism has been long debated. He did attend several seances with Mary Todd. But some historians believe he may have been there simply to lend support to his wife, as she was well-known to be emotionally unstable. Ward Hill Lamon, a close friend and biographer of Lincoln’s, stated that the President “was no dabbler in divination, astrology, horoscopy, prophecy, ghostly lore, or witcheries of any sort.” It’s not clear whether he actually participated in any seances. He did, however, take his turn at debunking. Lincoln asked Dr. Joseph Henry, a scientist and secretary of the Smithsonian Institution, to investigate the claims of a medium named Charles J. Colchester who had performed seances in the White House. After Colchester gave a demonstration in Henry’s office of alleged spirit rappings, the scientist reported back to the President that the sounds came from Colchester himself and that he suspected trickery. The medium was later caught cheating and was warned not to return to the White House. But Mrs. Lincoln was an avid Spiritualist for many years. After her husband’s death she consulted mediums, including Katie Fox, in an effort to contact him. In her latter days Mary Todd Lincoln was judged insane and committed to a sanitarium. One of the medical judges who had her committed cited her deep belief in Spiritualism as both a cause and a manifestation of her mental instability. As a hungry public craved more evidence of the exciting new “discover” that the deceased could be contacted, phenomena produced by the mediums became more and more elaborate. Simple rappings gave way to table tipping – a practice during which participants laid their hands on a small table which would mysteriously tip back and forth. It was later discovered to be a simple physical phenomenon called the ideomotor effect. Eventually physical mediumship developed, complete with floating props and materializations of the departed. All, of course, in near or complete darkness. Even though mediums were being exposed on a regular basis – even the Fox sisters – the public’s taste for Spiritualism’s promise of contact with departed loved ones knew no bounds. Wars were especially good for the mediums’ business. Thousands of young lives were destroyed by the ravages of the Civil War and decades later during World War One. Both eras saw huge swells in Spiritualism’s popularity. Even inventor Thomas Edison wasn’t immune. In his later years he experimented – unsuccessfully – with a device he hoped would eventually lead to communication with the dead. It is said that sometime later the sisters, who had in their latter years become penniless alcoholics, recanted their confession and went back to their old method of making a living. Apparently, the “exposure tour” was not as profitable as mediumship. This was not the first exposure of the Fox sisters, however. As early as 1850 a physician examining the girls made note of the fact that the knocks always came from the girls’ feet or from doors or tables that came in contact with their dresses. A year later a relative of the girls admitted to assisting them in their subterfuge.